Broadway Bakery Ltd., one of the oldest bakeries in Kenya, has recently commissioned a new fully automated Werner & Pfleiderer (W&P) bread plant at their factory in Thika, Kenya. The company has turned bread marketing on its head after introducing the highly successful #BeSugarSmart campaign in mid-2016. 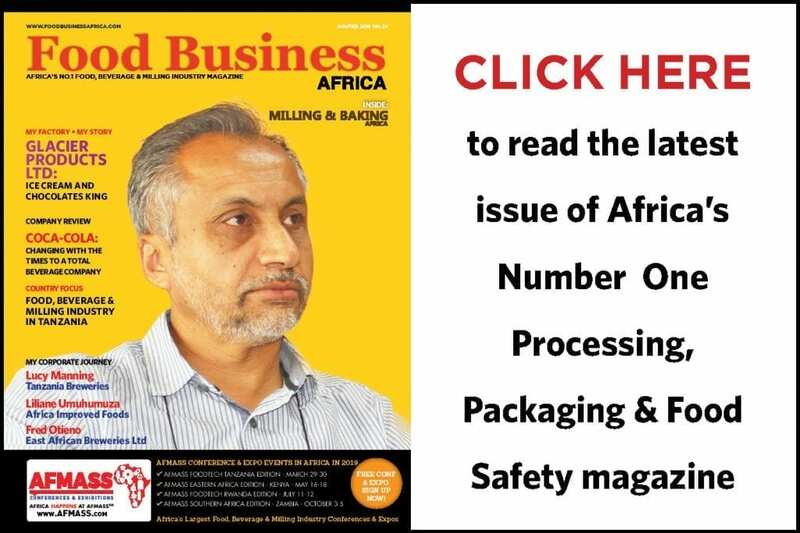 Food Business Africa had a conversation with Mr. Bimal Shah HSC, the Managing Director of the company, to discover what next for the company after it commissioned the new plant. The demand for bread and other baked products is on the rise in Kenya and Africa at large. Rising urbanization, improving economic prospects and the increasing need for convenient, ready food products has boosted the demand for these products, even in the peri-urban and rural areas. As diets change, with more consumers getting their hands on processed food products, concerns have emerged of the rise in lifestyle diseases which have been blamed on the poor diets and sedentary lifestyle of most households, with devastating effects on public health and a rise in premature deaths. For example, in Kenya, the Non-Communicable Disease Alliance of Kenya (NCDAK) reckons that 60% of all the deaths will be caused by bad eating habits by 2030. Around the world, rising consumption of sugar has been found to be a major contributor to a rise in a number of lifestyle diseases, including obesity, diabetes and heart disease. Broadway Bakery, in an unprecedented move, decided to face the problem of excessive sugar in food and beverage products head-on, by launching the #BeSugarSmart campaign last year. The countrywide campaign was Kenya’s first-ever corporate campaign to directly inform the public on the causes of lifestyle diseases that have rapidly escalated in the country. The campaign raises awareness on the damage caused by excessive sugar consumption and on how best to reduce sugar consumption. “Our bread making has been driven by the mission of creating healthier bread with low sugar, salt and fat content, no added additives and dough that is rich in essential nutrients including fibre, protein, carbohydrates, vitamins and minerals,” said Broadway Bakery Managing Director Mr. Bimal Shah HSC, as the company launched the campaign in May 2016. “As we watch lifestyle diseases not only knocking out an older generation of Kenyans, but also increasingly damaging the health and lives of younger Kenyans, we now feel the need to dedicate some of our revenues to alerting consumers on the real horrors of excessive sugar consumption,” he said. The company has used a number of platforms to promote the campaign, including billboards, delivery vans and social media to pass on the message, where the company has appointed a Brand Ambassador, DJ Mo, a popular disc jockey to lead the campaign. It has also partnered with a number of organisations, including at the World Diabetes Day in November 2016, where the company sponsored free diabetes testing at a number of locations in Nairobi and Thika. This year, the company is planning on conducting free diabetes testing in a number of locations around World Diabetes Day, which falls on the 14th of November 2017. 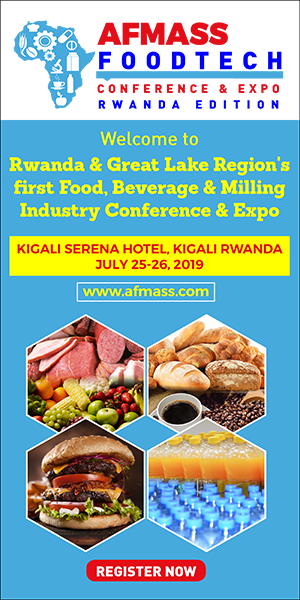 Further, the company has spoken at the industry-focused Africa Food Manufacturing & Safety Summit (AFMASS) Conference & Expo in the 2016 and 2017 editions, where it has engaged with industry players and regulators on the sugar debate, encouraging the industry to reduce sugar in their formulations to safeguard public health, besides releasing information on research the company has conducted in line with sugar intake in Kenya. “It is an issue that food producers need to wake up to, consumers and parents need to understand and we all need to play a part in preventing, which is what has prompted our #BeSugarSmart drive,” said Mr. Devan Shah, the Business Development Executive at the launch of the campaign. “It is our hope that as we gather momentum in alerting the public to the scale of the danger from excessive sugar consumption, others will now join us in effecting real change in Kenyans’ eating habits and in our health profiles moving ahead,” said Mr. Devan. But how has the campaign performed? “The campaign has been a blessing for us. It was a very bold move we had to take. All these years, the bread market has been controlled by manufacturers that were putting a lot of sugar in their baked products and enticing consumers that the sweeter bread was superior. Since the inception of Broadway Bakery in 1958, I personally never liked bread that is too sweet as bread has to taste like normal bread and not like confectionery,” he reveals. “We then conceptualized the #BeSugarSmart campaign. Despite the initial uncertainties, we had to take the bold step and stick by it. Of all the campaigns we have done, we feel this is the best we have done as a company. Other food and beverage companies have also started marketing reduced sugar in their products,” he said with an air of satisfaction. Through this campaign, the company has also seen an uptake in demand, even in areas where it had not had a strong market penetration. “We have seen a great shift in Western Kenya where consumers predominantly used to like sweeter bread. They are now accepting Broadways bread after about four months of intensive campaigns,” Mr. Bimal says. He believes that the way forward for the bakery sector in the region is for the sector to come up with a maximum level of sugar in bread as a percentage of the dough. With such controls, it is much easier to achieve universal consumer health and sustainability. Broadway Bakery has been running 3 plants at its Thika factory, producing mainly white and brown unsliced and sliced bread. The company was started by Mr. Bimal’s father and uncles who started a small bakery in Thika town and thereafter distributed bread for another industrial bakery in Nairobi up to 1975. However, they were not able to satisfy their demand and so they decided to put up their own industrial bakery in their present site in 1978. “Our location gives us easy access to Nairobi, Eastern and Central Kenya, enabling us to deliver fresh bread to you every morning for a healthy start,” says the company. It is now making inroads into the Rift Valley and Western Kenya as it grows its production capacity. The company produces Broadways Bread, which is well known for its signature waxed paper packaging, although the company also packages a small quantity of its bread in plastic packaging. “At Broadway Bakery, we have a commitment to quality because we understand the central place of bread on breakfast tables across Kenya. Our range of both Brown Bread and White Bread caters for diverse tastes, all packed in different sizes to accommodate for the exact needs of your family and occasions,” says the company. Beyond the Broadways brand, the company has added new brand extensions including Seneta and a new sandwich bread brand, Kati Kati. With the commissioning of the new plant, Kati Kati has been launched and is mainly targeted at the increasing health-conscious Kenyan. It is a square bread ideal for sandwiches, but can also be enjoyed on its own. The bread products at the bakery range from 200g, 400g, 600g and 800g packaging, both in waxed paper and plastic packaging. The company is focused on building more capacity and entering new market territories in Kenya, which has led to new investment opportunities. “The bakery industry in Kenya has seen a lot of growth in the last 5-7 years. Big players like us had excess supply already, so we never planned to renovate or install new machines when the old ones were still running. Broadway Bakery has recently commissioned a new fully-automated Werner & Pfleiderer (W&P) toast bread plant to take advantage of the rising demand for baked goods in Kenya, by scrapping their first plant which was installed in 1977. The company currently has in production four bread plants. “We have invested in the new plant so that we can adopt new technology and bring in more efficiency. Besides investing in a new bread plant, the company has also invested heavily in new mixing technology from Diosna, Germany, to achieve better dough handling and quality of bread,” summarizes Mr. Bimal. The new plant will enable the company to improve production efficiency and reduce costs significantly. It has also enabled them to adjust to surges in demand and meet new market opportunities. “The power and fuel consumption of the new plant is stated to be 20% lower compared to the older plants. Since the plant is barely 2 months in operation, we are still developing the figures and will know with certainty after six months the efficiency of the new technology,” he noted. The company has also been able to reduce the number of staff per plant by 4, but has retained most of them to train them on the new technology. The new plant has a number of improvements, right from the dough mixing station to the proofing, baking and cooling stations. According to Bimal, quality wheat flour for bread making is very essential. Through its sister company, Bakex Millers Ltd., who are pioneers in milling good quality bakers and biscuit flour, the company ensures that the quality of the bakers flour supplied to them is of the highest quality. The dough manufacturing process used is still the traditional sponge and dough process. The time taken to prepare the sponge to the time the bread is ready for packing takes about 5 hours. The company has also invested in fully-enclosed, atmosphere-controlled bread cooling towers and is further investing in new wax-packaging machines from BNW, UK, that will continue to be installed till March 2018. “With this new investment in new wax paper packaging machines, we should be able to control our packaging costs to match efficiency and be on the right side of the psychological thinking with the consumers moving away from plastic packaging,” he added. Mr. Bimal is confident that the new plant will enable the company to reach new horizons. “With this sort of plant, it is what you want to make out of it. As far as we are concerned, we are seeing a big improvement in the quality of bread compared to the older plants. With this new plant, we can now make more sandwich bread which the majority of Kenyans have developed a taste for. We are now focusing on the promotion of our new sandwich bread, Kati Kati,” he informs us. The baking industry in Kenya has over 300 bread manufacturers from large to medium to small-scale. 90% of the bread is packed in polyethylene (PPP) bags. However, Broadway Bakery has been packing more than 80% of their bread in wax-coated paper which is biodegradable and environmentally friendly. With the change in packaging regulations, the company sees a very bright future and increase in its demand. “The ban has been a blessing in disguise for us. All these years, we have stood by what we thought was very important for the history of Broadway Bakery. We wanted to continue using wax-coated paper because our loyal customers were used to it, despite being more expensive than polyethylene” Mr. Bimal explained. The company has its own printing and wax-coating facility which ensures a steady supply of the packaging material. The baking industry is at an important point of development and is set for new highs driven by new technology, new investments and changing consumer needs. “Apart from the growth in bread consumption, there has also been a tremendous growth in other baked food items such as the mandazi (buns) and doughnuts, he informs us. “A lot of bakeries are putting up new plants now. We recognize them for their competition but we do not get frightened anymore since we have the technology. We only need to push as much as we can so that we get a bigger market share than we used to have,” he stresses. In this regard, the company plans to enter the baked confectionary products business by the end of this year using new and current machinery and is also pushing its way into the Western Kenya market where they see huge potential. “We started selling our bread in Eldoret town a few years back and I am now very confident that with our penetration of the market into Western Kenya, we feel that there is a possibility of starting a new production facility in that region in the near future.,” he informs us. At the industry level, Mr. Bimal feels that the industry is mature and strong enough to stand on its own, but that investments by international or regional brands will soon happen. “The baking industry in Kenya is managed by very strong family groups,” he says. “But there are a number of companies interested in merging with local bakery groups, but which have never gone through because of the quality of some of the interested parties. “When the interested parties are from Europe, America or Far East, there has always been a lot of wait and see. I am glad to say that a lot of Indian companies are now coming in very strongly since there is a bit of understanding between the way they work and the way we work here. A merger is something that you only have to do if you are comfortable. You are not going to merge for the sake of merging, only to eventually put a big dent in what you have built for all these years when the merger doesn’t work out. We are taking it cautiously. He is also amazed at the growth of small-scale bakeries, especially in major towns. “There are probably hundreds of small bakeries being run by local investors in Kenya and the size of their operations is not small anymore. They are now in the medium range. The company is proud of its association with Broadway High School, a public school supported by the family as a development partner. Located in the disadvantaged Kiandutu Slum in Thika town, the family has assisted in building tuition blocks, laboratories and a modern library block, geared towards enhancing teaching standards in the school. The current student population is over 650. The company sponsors bright students for university education once having completed their high school. The company also supports a number of other medical, environmental and social support programs in the country. Last year, the company donated 150 hospital beds to various medical institutions.